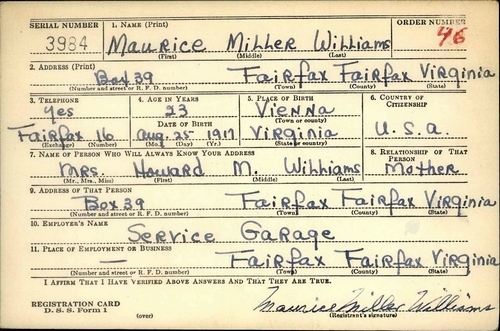 Maurice M. Williams, the son of Howard and Leah Williams, was born in Vienna, Virginia. He grew up in nearby Fairfax, where he worked as a gas station attendant, before entering military service in May 1941. Serving with Company A of the 116th Infantry Regiment, 29th Infantry Division, Williams was stationed at Tidworth Barracks in England, just ten miles from historic Stonehenge. 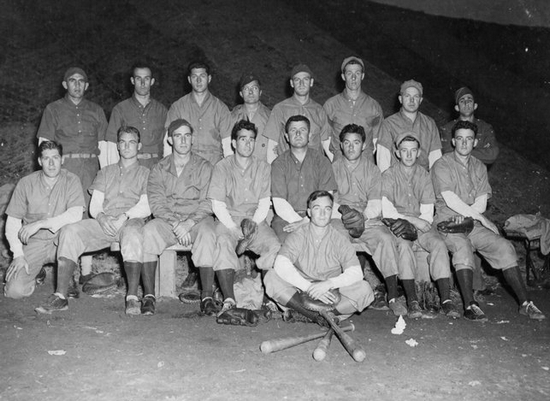 When the 116th formed a baseball team in the summer of 1943, Williams - a pitcher - made the 20-man roster and helped the Yankees compile a 27-game winning streak and entry into the 1943 ETO World Series. Underdogs in this event, the 116th Infantry Regiment Yankees fought off some fierce competition to win the ETO World Series crown. That was the Yankees last chance to play any form of competitive baseball. For the remainder of 1943 and the first five months of 1944, the order of the day was intensive military training in preparation for the invasion of mainland Europe. On the morning of June 6, 1944, many of the Yankees ball team, including Staff Sergeant Williams, were on landing crafts heading for Omaha Beach at Normandy. Company A of the 116th Infantry Regiment was to lead the D-Day assault. As the landing crafts approached the beach, the enemy opened fire with artillery, mortar, machine-gun and small arms fire. Maurice Williams was killed in action that day. He is buried at the Normandy American Cemetery in France, and was just one of four men from the village of Fairfax who lost their lives in WWII. The 116th Infantry Regiment Yankees. Maurice Williams is in the front row, third from left. The 116th Infantry Regiment Yankees after winning the 1943 ETO World Series in London, England. 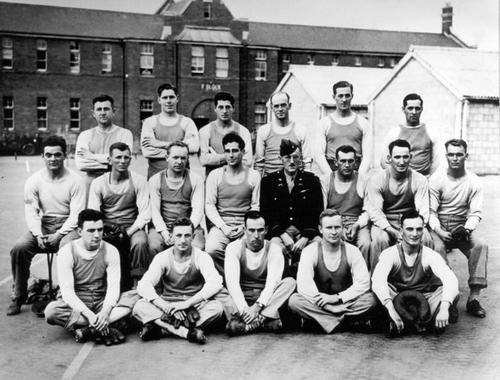 Maurice Williams is back row, second from left. Date Added May 10, 2014. Updated September 10, 2017.